For my Silver Trinity Arts Award challenge, I decided to create a 70th birthday cake for my Grandpa. 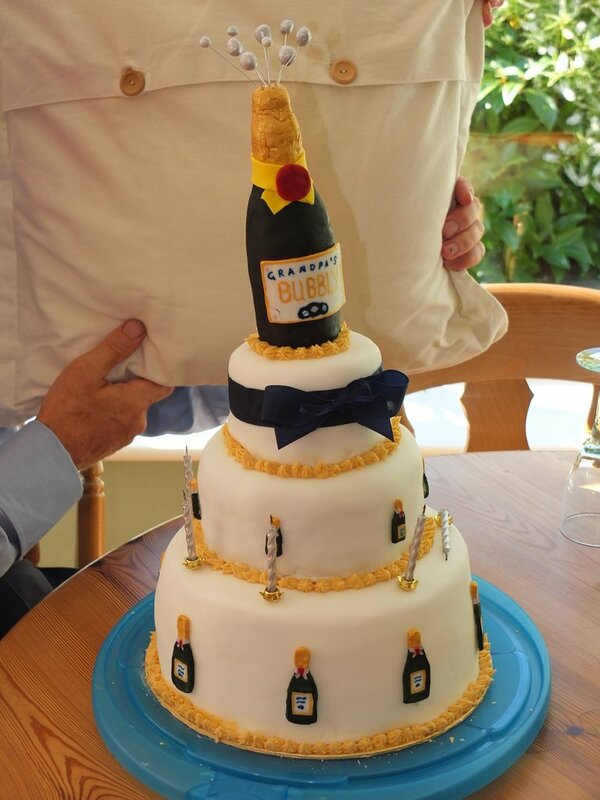 It was a three tier cake (bottom layer was fruit and other two were lemon) and it had a champagne bottle on the top. 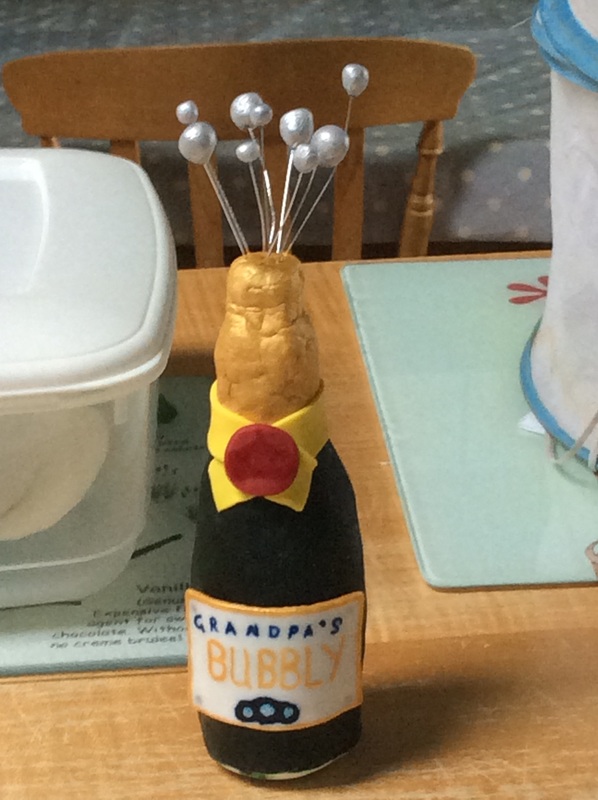 For the bubbly on the top, I rescued a Schweppes bottle and wrapped it in plain fondant, molding a ‘neck’ at the end. Creating the right shape was difficult, so I had to call on my Dad for advice (somehow, he seemed to know what the exact shape should be). I then painted it dark green and gold (with edible paint!) and when that had dried I made a yellow ribbon and seal as well as a label out of fondant. Strangely, I think the writing on the label was the easiest bit. Finally, I painted some little rounds of fondant silver and stuck them on wire to create a ‘bubbly’ effect. I also molded and painted some little champagne bottles to decorate the bottom and middle layers which I had to redo after transporting the cake in the heat down to Dorset, as they had melted! Later, I spent the whole evening in my grandparents garage redecorating the whole middle layer (with Finnian eating any leftover pieces) and with some help from my grandma, attached a bow to the top to cover up any melted fondant! I then piped around the layers to cover up any gaps. Overall, I think all the stress and rude words were worth it in the end, as I had one very pleased grandpa!